An indie rock band and a foundation created to protect the planet from hazardous asteroids might sound like an unlikely pair, but the band Broken Bells and the B612 Foundation are teaming up to raise money for planetary protection. Broken Bells will donate $1 from every ticket sold on their West Coast tour to the B612 Foundation's Sentinel mission — a space telescope designed to hunt for dangerous near-Earth asteroids. Planned for launch in 2018, the private space-based observatory should survey the sky to find 90 percent of asteroids larger than about 460 feet (140 meters), space rocks that are large enough to possibly cause serious regional damage if they hit Earth. "The mission of the B612 Foundation is to create the first comprehensive and dynamic map of the inner solar system to provide early warning of dangerous asteroid impacts as well as prepare the path for future exploration," B612 officials said in a statement. "Sentinel will be the world's first and largest privately funded deep space mission. 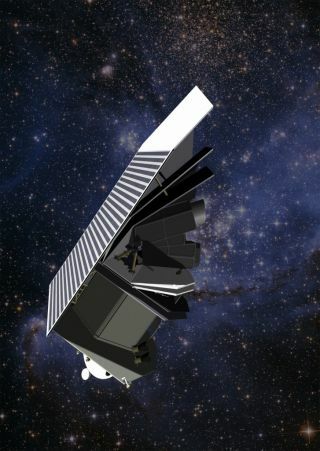 To date, all telescopes combined have identified only 10 percent of the more than one million asteroids which we need to know about to protect us; Sentinel will find the other 99 percent." "The B612 Foundation believes that humanity can harness the power of science and technology to protect the future of civilization on this planet, while extending our reach into the solar system," officials wrote on the foundation's website. "Our view is that we are not passengers on Space Ship Earth — we are the Crew." To learn more about the Broken Bells concert tour, visit: http://www.brokenbells.com/tour/.